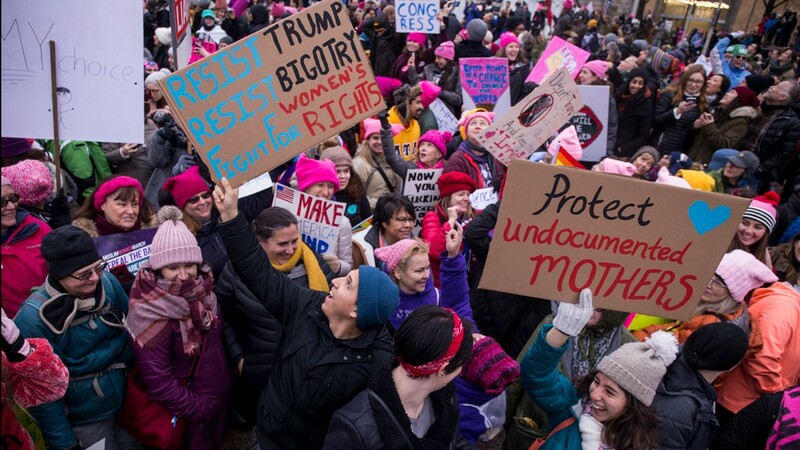 Organizers submitted a permit application estimating up to 500,000 people but the actual turnout is expected to be far lower. 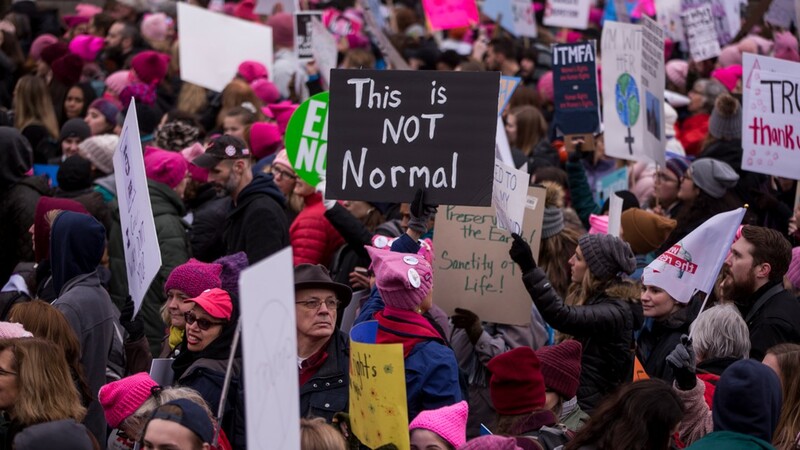 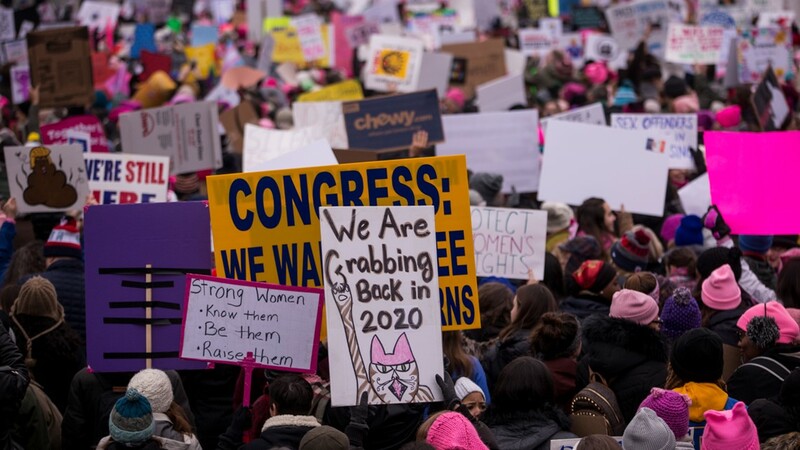 Demonstrators hold signs during the 2019 Women's March on January 19, 2019 in Washington, DC. 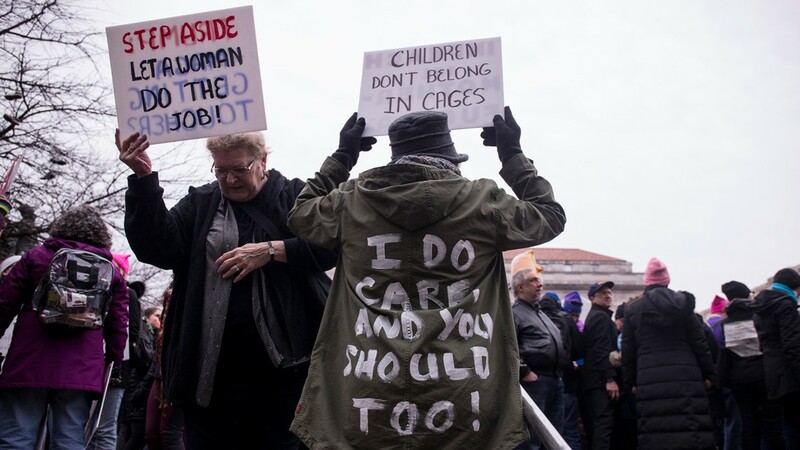 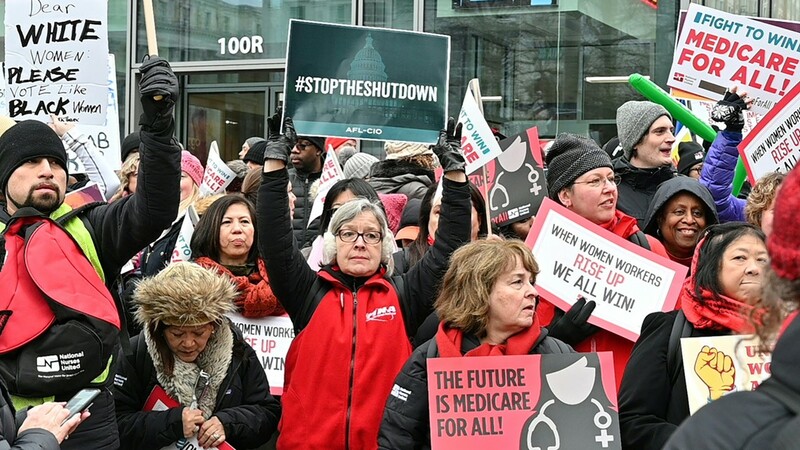 Demonstrators gather at Freedom Plaza during the 2019 Women's March on January 19, 2019 in Washington, DC. 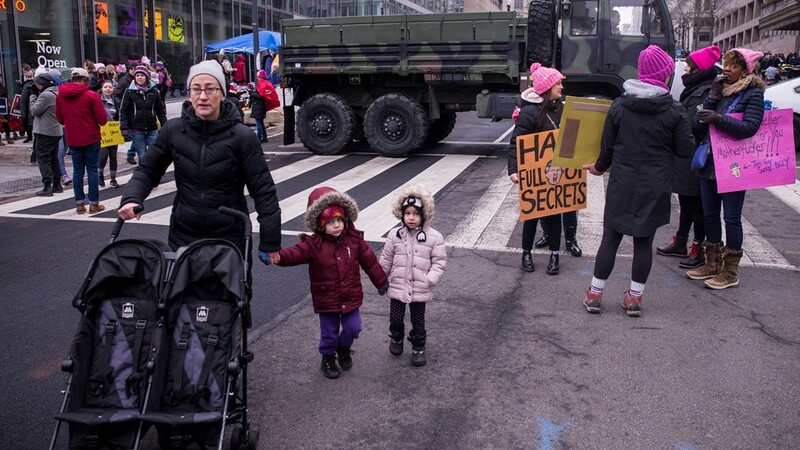 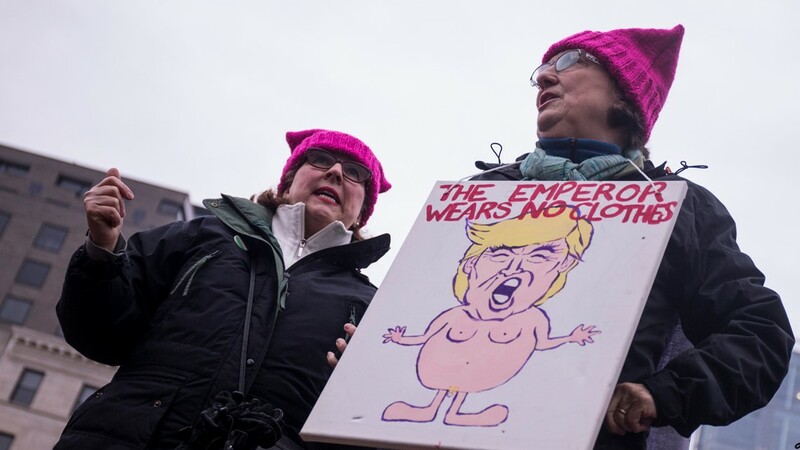 Demonstrators march down Pennsylvania Avenue during the 2019 Women's March on January 19, 2019 in Washington, DC. 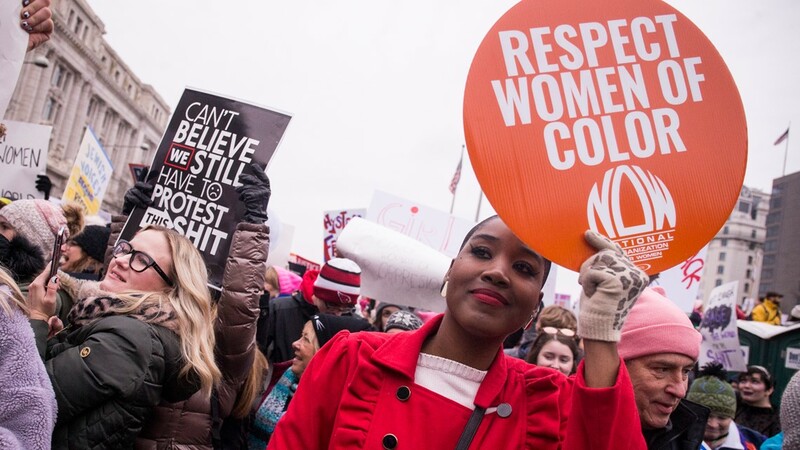 A demonstrator holds a sign during the 2019 Women's March on January 19, 2019 in Washington, DC. 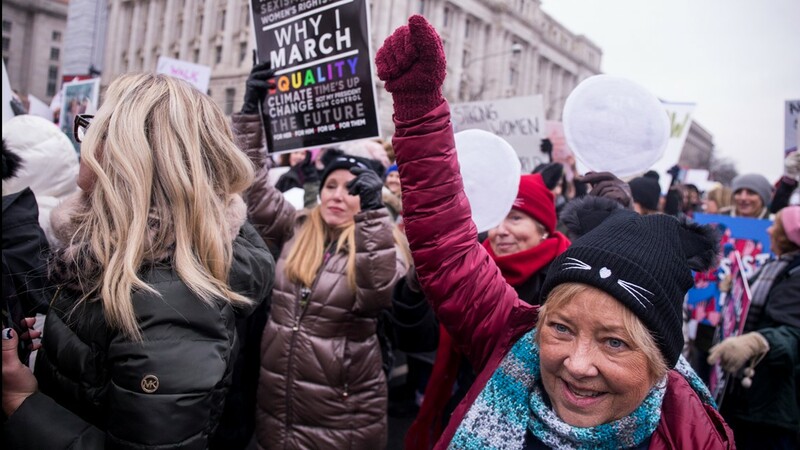 Demonstrators cheer during the 2019 Women's March on January 19, 2019 in Washington, DC. 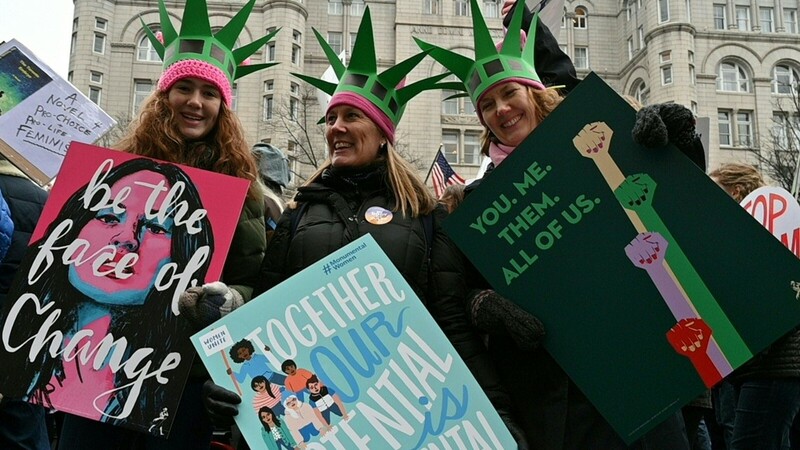 Demonstrators gather near Freedom Plaza during the 2019 Women's March on January 19, 2019 in Washington, DC. 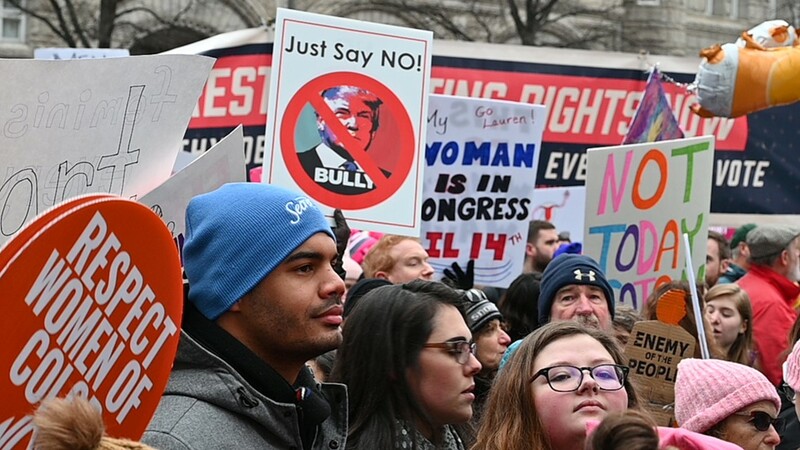 Protesters display their signs as they walk down Pennsylvania Avenue past the Trump Tower during the Women's March in Washington, DC January 19, 2019. 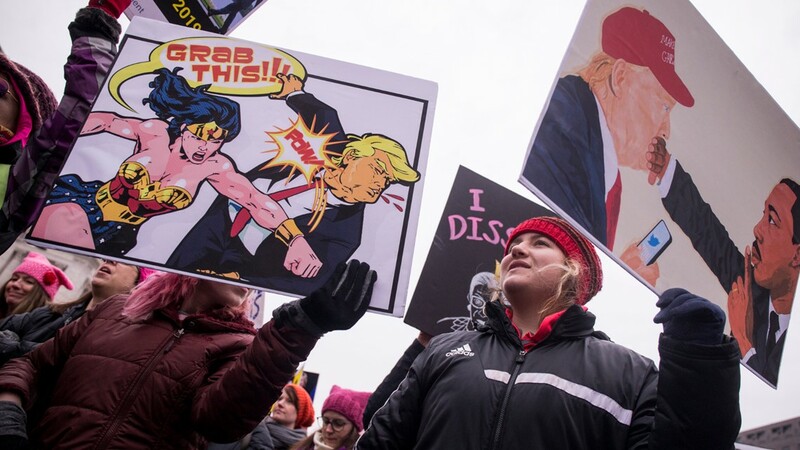 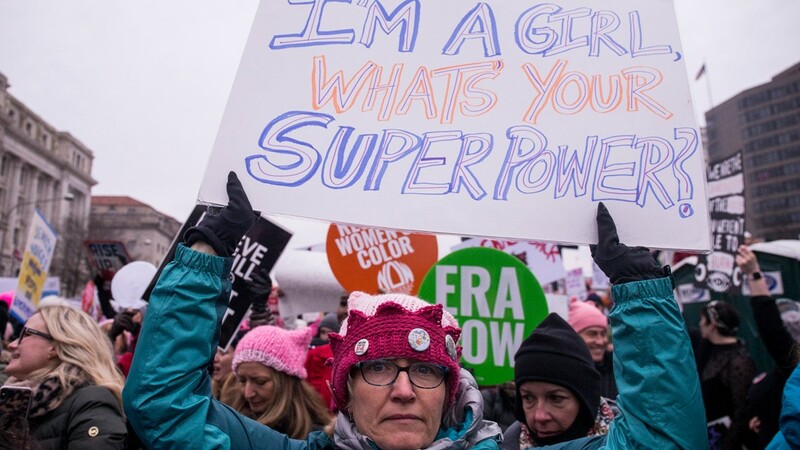 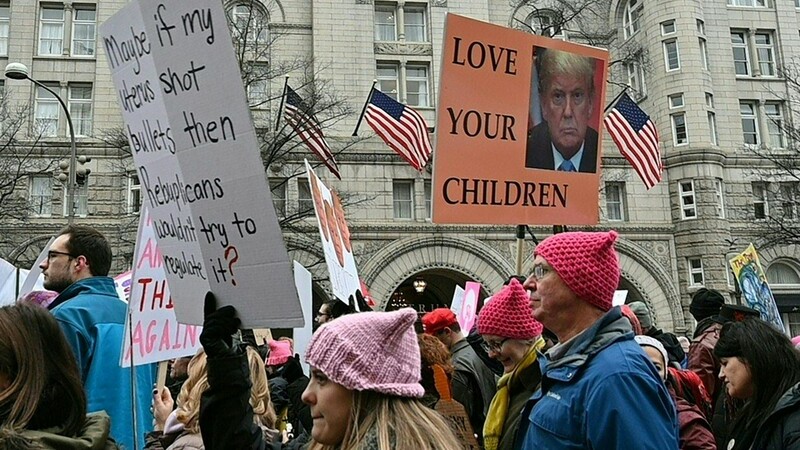 Protesters display their signs during the Women's March in Washington, DC January 19, 2019.